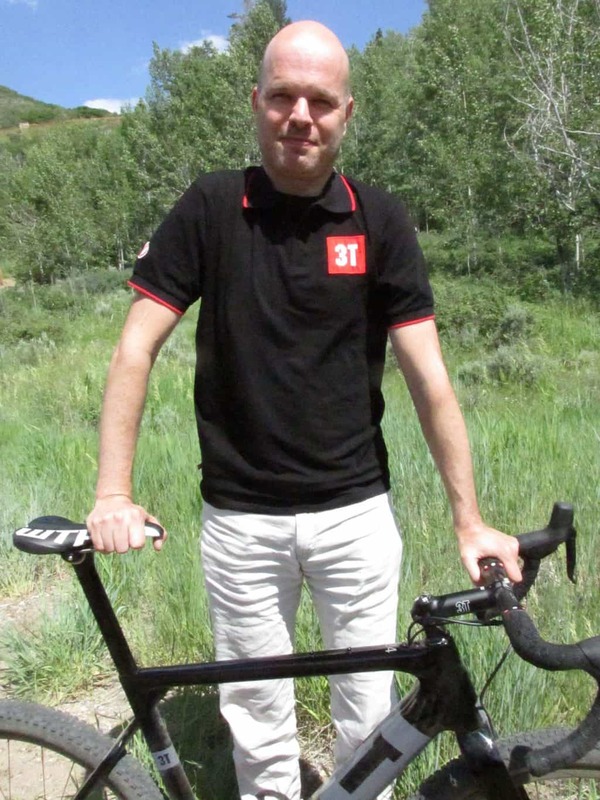 Given all the hulla-balloo surrounding the recent release of his latest creation – the 3T Exploro aero gravel bike – maybe it shouldn’t have been such a surprise to find out that Gerard Vroomen would be attending Press Camp, but it still seemed surprising. And then as I was walking towards the expo area located behind the Silver Baron Lodge I spied Gerard and his new American hire (General Manager of 3T America) Dave Koesel pushing a luggage cart filled with bike parts, boxes and two pop-up tents to get set-up. Seeing Vroomen straining as he pushed the cart through the dirt reminded of how his days have definitely changed from those when he was running Cervelo and attending the Tour de France. 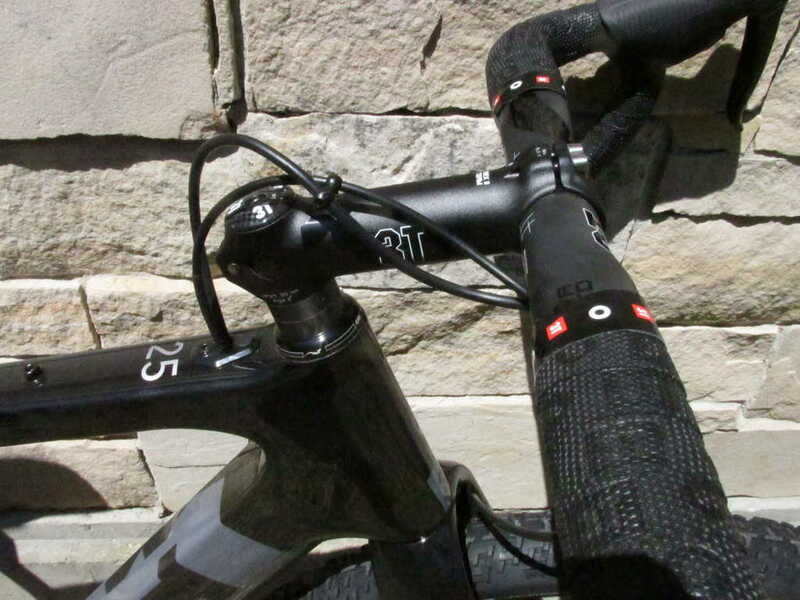 Here’s the full low-down on the 3T Exploro from an earlier post. It’s safe to say that Gerard Vroomen is as confident in his opinions as he is creative in his vision. Currently, the tall Dutchman is enjoying a big spotlight that has been thrown his way with the introduction of the 3T aero gravel bike. 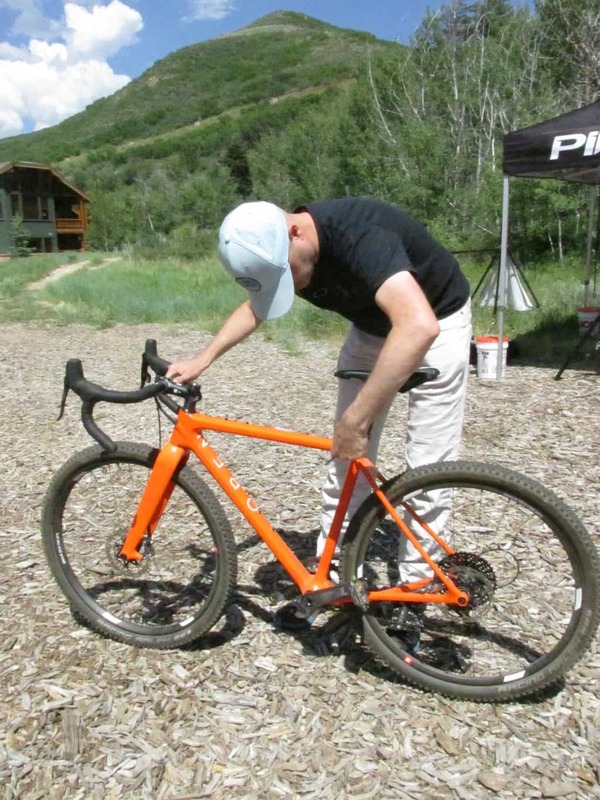 Although the 3T Exploro was the keynote bike under Vroomen’s tent, there was still a handful of his Open UP bikes on hand that were loaned out. Although they share some similarities in the rear triangle, there are distinct differences between the Open U.P. and the 3T Exploro. The Open has a longer wheelbase and different stays (for added compliance) and the Exploro has a lower front end with steeper angles. 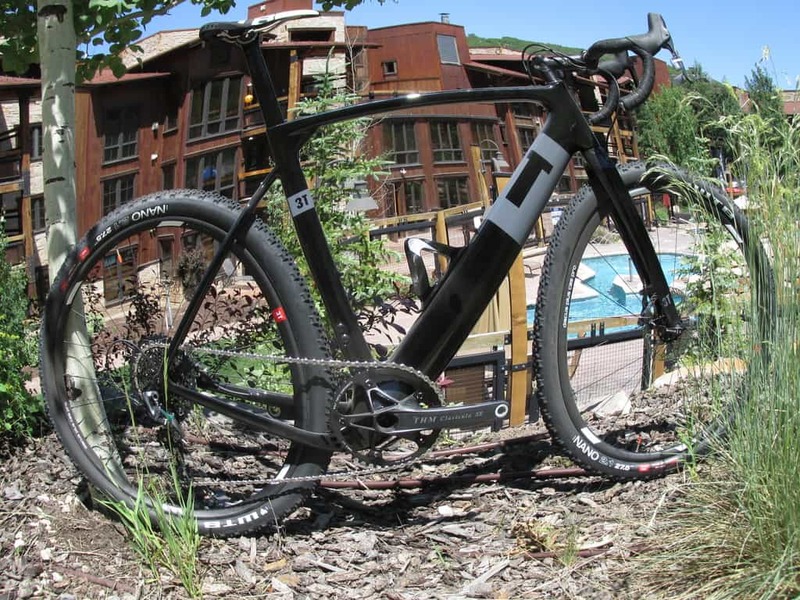 The 3T Exploro was easily the most anticipated and talked about bike at Press Camp. While the idea of an “aero gravel bike” seems odd to many, owing to his history of designing Cervelo bikes, if there is one person who could legitimately make it all seem plausible, it is Gerard Vroomen. 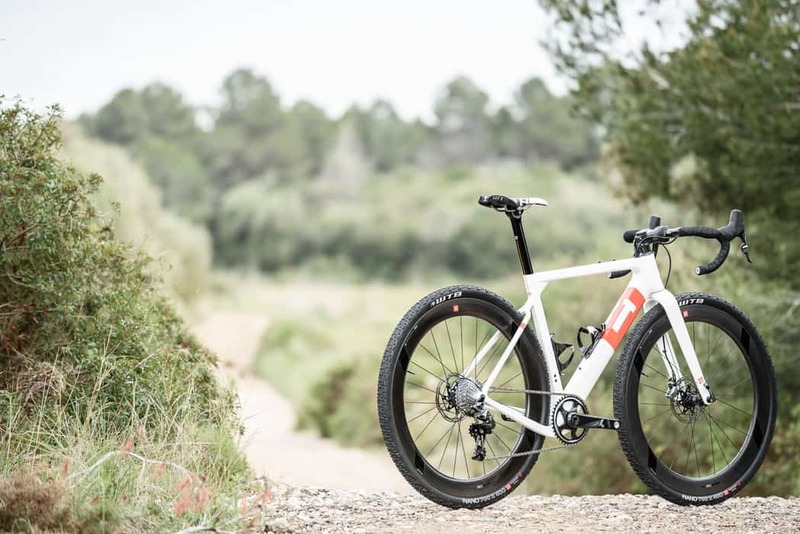 Two versions of the 3T Exploro will be available: the Team ($3000) and the Ltd. ($4200). Vroomen chose a top tube feed for the internal cable routing and it uses a unique “Flip Top” plate which will allow for either cables or wires to pass through. 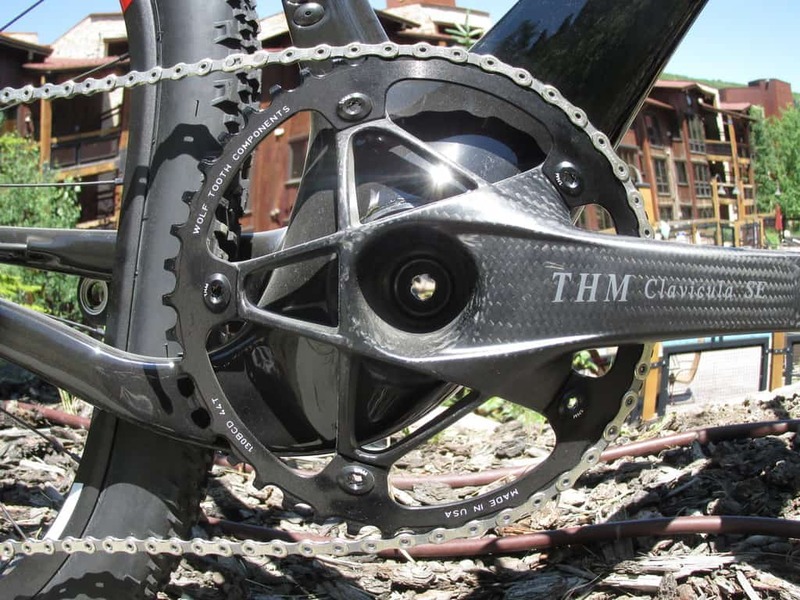 Besides his ownership of Open and 3T, Gerard and his partner Rene Wiertz have acquired the boutique carbon component maker, THM, to help them market and distribute their lightweight cranks and brakes. 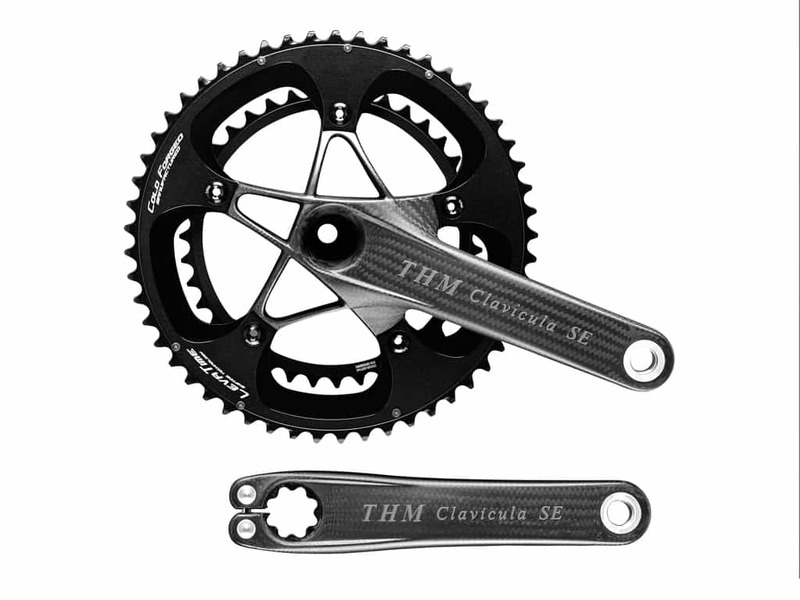 The THM cranks are still handmade in a small factory in Alt Duvenstedt, Germany…and they are as beautifully crafted as anything else made to fit on a bike. The 291 gram cranks (sans chainrings) cost in the neighborhood of $1200.